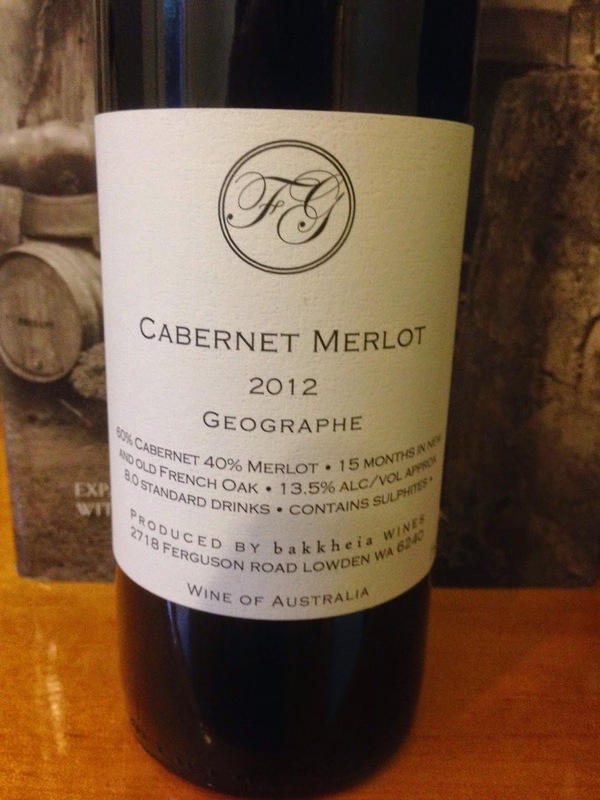 The 2012 vintage of Bakkheia’s cabernet merlot is a blend of 60% cabernet sauvignon and 40% merlot. A medium intensity ruby in colour, it is lighter than a straight cabernet. It has aromatics of spice, cedar, very bright red plums from what appeared to be some very tasty merlot grapes, and some bay leaf at the edges. Reminding more of merlot than cabernet, the slightly unformed palate is dry with quite long cedary length, and most distinctively has a tangy primary fruit sweetness that reminds of red plums.